He did no harm to anyone. He wrote for all eternity. Having children by his wife. Dear Lord: let Keats and Shelley wait. In May, 1913 Cummings appeared in a production of the Cambridge Social Dramatic Club, Jerome K. Jerome’s The New Lady Bantock, or Fanny and the Servant Problem (Kennedy 86). He played one of the problem servants, a second footman named Ernest Bennet. A graduate student in philosophy who had recently returned from a year in Paris played Vernon Wetherell, Lord Bantock. This tall and rather aloof student was named Thomas Stearns Eliot. Whoever cast the play must have been a clairvoyant genius, at least as far as predicting the two poets’ subsequent roles in Anglo-American poetry, for E. E. Cummings was destined to play the eternally snickering footman of modernism, while T. S. Eliot was fated to wear the mask of the lord of poetic erudition and arbiter of poetic reputation. The new Lady Bantock was played by Amy de Gozzaldi, and in real life Cummings had a crush on her, so when the plot called for the two to kiss, he was shy of doing so. On opening night, however, as he remembered some 30 years later, their kiss struck sparks: “Amy de Gozzaldi kissed me;and her mouth came off on my mouth,and billions cheered:I shall never forget.” He also never forgot the fellow who played Lord Bantock, even if he did not remember his name: “let’s see:a snob,cold,older than me,aloof,never sat with the rest of the cast at rehearsals,immaculately dressed;you know,a type ‘the frozen jeuness[e] dorée’” (P/C 182). Since Eliot had met Emily Hale the year before, presumably he was not Cummings’ rival for Amy’s affections; however, it was the custom for the gentlemen in the cast to present the leading lady with a gift. Eliot brought Amy “a gorgeous bouquet of roses”; Cummings gave her a poem that was published in the June issue of the Harvard Monthly (Kennedy 86-87). The poem tells of dusk sinking “with faint wild wings . . . with Night’s arrow in her heart!” and of the lovers escaping from “the awful rant and roar of men and things . . . into Silence” (CP 863). May was a busy month for Cummings. On May 11, he sent a letter to Scofield Thayer, “expressing . . . admiration” for one of Thayer’s love poems, writing: “I shall be very proud and happy indeed when I can say the thing so completely, so purely, and with such a true and fine ring” (qtd. in Dempsey 16). Thayer responded on May 13, inviting Cummings to join the editorial board of the Harvard Monthly. Among the editors at the time were Cummings’ friends Arthur Wilson, Cuthbert Wright, and Gilbert Seldes, future cultural critic and assistant editor of The Dial. Cummings is listed on the masthead as “E Estlin Cummings.” Looking at George Firmage’s Bibliography, it is apparent that Cummings cut down on his contributions to the Monthly after he became an editor, publishing no more poems in 1913 after the June appearance of his poem for Amy de Gozzaldi. Perhaps Cummings turned his focus elsewhere for a time, for he had begun exploring Boston night life as well as the new developments in modern art and poetry, thanks to the tutelage of S. Foster Damon, who introduced him to the music of Stravinsky and Debussy, as well as loaning him copies of Poetry magazine (Kennedy 78). It may have been in late 1913 when Damon “took Cummings out drinking for the first time in his life” at Jacob Wirth’s “sawdust-strewn restaurant on Stuart Street” in Boston (Kennedy 79). When the Armory Show was in Boston (from April 28 to May 19, 1913) Damon took Cummings to see it. Officially called the International Exhibition of Modern Art, the Armory Show was designed to introduce the American public to the latest trends in modern art, both European and American. As Kim Orcutt writes, the Boston version of the show “was whittled down from upwards of fourteen hundred to less than three hundred objects, and American works were eliminated, so Bostonians saw only the avant-garde European paintings, sculpture, and works on paper that had startled visitors in New York and Chicago.” Boston critics were not impressed, saying that the art was “branded with the mark of cocaine” and that it represented “charlatanism and insanity combined” (qtd. in Troyen 382). 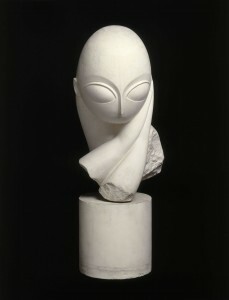 Cummings was especially taken by the Cézanne paintings and by Brancusi’s sculpture Mlle. Pogany, which, two years later in his graduation speech at Harvard, he termed a “triumph of line for line’s sake over realism” (“New Art” 6). Ahearn, Barry, ed. Pound / Cummings: The Correspondence of Ezra Pound and E. E. Cummings. Ann Arbor: U of Michigan P, 1996. Abbreviated P/C. Blissett, William. “E. E. Cummings: A Surprising Spenserian.” Spring: The Journal of the E. E. Cummings Society 20 (2013): 24-36. Cummings, E. E. Complete Poems, 1904-1962. Ed George J. Firmage. New York: Liveright, 1994. —. “Do you remember when the fluttering dusk,” The Harvard Monthly, 56.4 (June 1913): 128. —. “The New Art.” The Harvard Advocate (June 1915). Rpt. in E. E. Cummings: A Miscellany Revised. Ed. George J. Firmage. New York: October House, 1965. 5-11. —. “T. S. Eliot.” The Dial 68 (June 1920): 781-84. Rpt. in E. E. Cummings: A Miscellany Revised. Ed. George J. Firmage. New York: October House, 1965. 25-29. Dempsey, James. The Tortured Life of Scofield Thayer. Gainesville: UP of Florida, 2014. Firmage, George J. E. E. Cummings: A Bibliography. Middletown, Conn.: Wesleyan UP, 1960. Hopkinson, Sarah. “The Early Advocate: e.e. cummings.” Notes from 21 South Street. The Harvard Advocate Blog. 17 Oct. 2012. Web. Kushner, Marilyn Satin and Kimberly Orcutt, eds. The Armory Show at 100: Modernism and Revolution. New York: New-York Historical Society / London: D. Giles, 2013. Orcutt, Kim. “The Armory Show Lands with a Thud in Boston.” Blog post. The Armory Show at 100: Modern Art and Revolution. New-York Historical Society. 13 April 2013. Web. Troyen, Carol. “ ‘Unwept, unhonored, and unsung’: The Armory Show in Boston.” The Armory Show at 100: Modernism and Revolution. Eds. Marilyn Satin Kushner and Kimberly Orcutt, with Casey Nelson Blake. New York: New-York Historical Society / London: in association with D. Giles, 2013. 379-391. EEC poem in June, 1913 Harvard Monthly: “Do you remember when the fluttering dusk,” (scroll down).